QSetup includes a comprehensive infrastructure for Multilingual support. Currently more then 30 languages are supported with more to come. 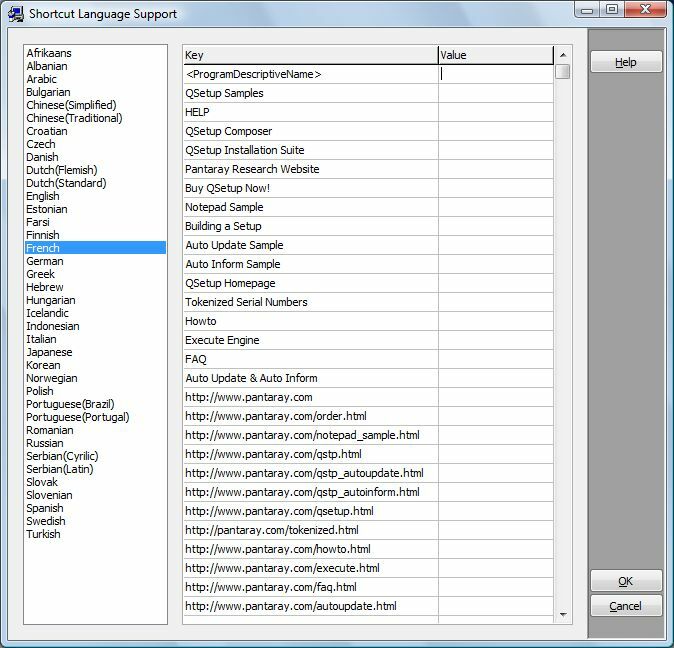 On the Project page you will find a list of all the supported languages. Check the languages you want your setup to support. 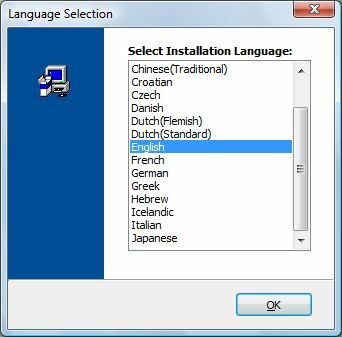 During Installation the Setup program will select the required language based on LOCALE information found in the operating system. If a match is not found, the Setup program will default to English. The language support is based on a text file in the form of an INI file. If the language you are looking for is not supported you can easily add a new language file. If you want to create your own LANGUAGE file, you should copy the English.lng file to a new file with a name like French.lng or Italian.lng and then edit the new file. Detailed instructions can be found in the file Instructions.txt located in the LANG directory. With similar techniques you can also easily edit an existing language file. You can also choose to intruduce to your customer a selection dialog so that he/she can select the language they want to work with at setup time. Set the Custom Dialog Name. Set the Custom Dialog Description. The following table include Language files for "QSetup Installation Suite". The files were contributed by dedicated users of the program from all over the globe, and are freely available for download by other users of the program. 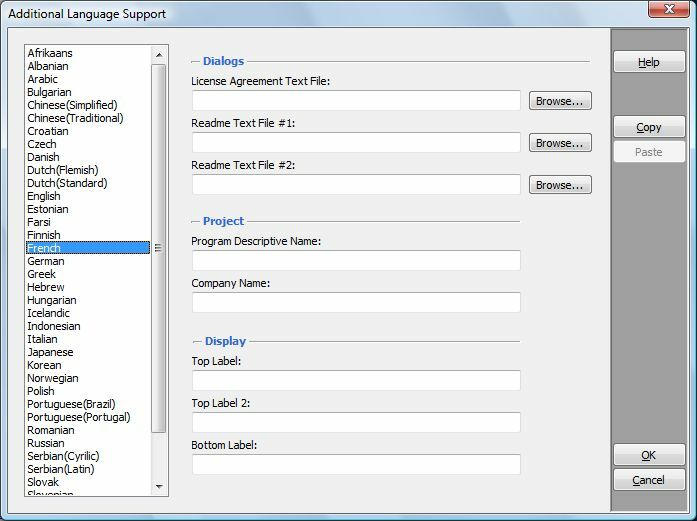 The language support is based on text files in the form of an INI file. If you want to create your own language file, or modify an existing one you can easily do it using a text editor like notepad. Detailed instructions can be found in the file Instructions.txt located in the LANG directory. The language your file supports. Please send your Email to: support@pantaray.com. We will post your file on this page ASAP.